I am in love! 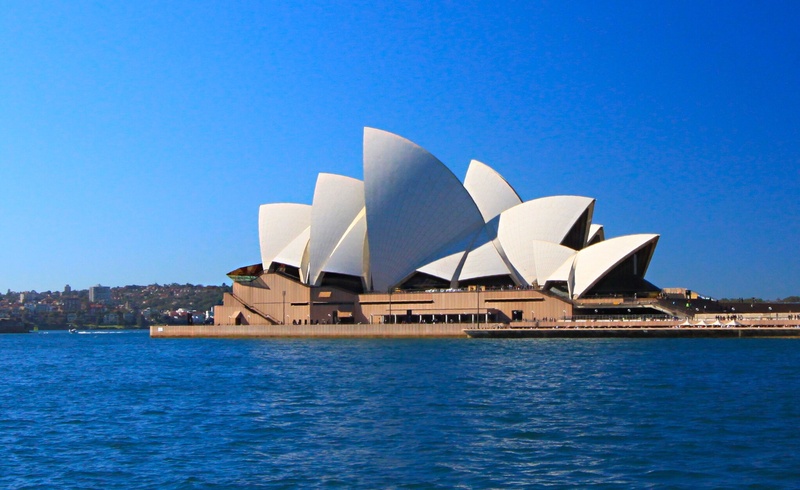 The object of my affections is the beautiful city of Sydney. On first landing in Sydney I experienced a bit of culture shock. After three weeks of sleepy small town life in Montana and Hawaii, interrupted only by two days in San Francisco, it seemed impossibly big and busy. I arrived in the evening after a ten and a half hour flight which lasted more than 24 hours! I lost a day, crossing the international date line. I was all set to go and explore the city but the effects of the time difference and a horrible flight with a very unhappy baby sitting two rows behind me caught up with me when I was buying some water and I retreated to the hotel to bed, thinking I could use the jet lag to get up early. This was the first time on this trip I struggled badly with jet lag. I woke at 3.00, went back to sleep at about 6.00 and did not wake again until 9.00! So much for my early start. I set off eagerly towards Circular Quay, feeling much better for the sleep, in the wrong direction as is my wont. 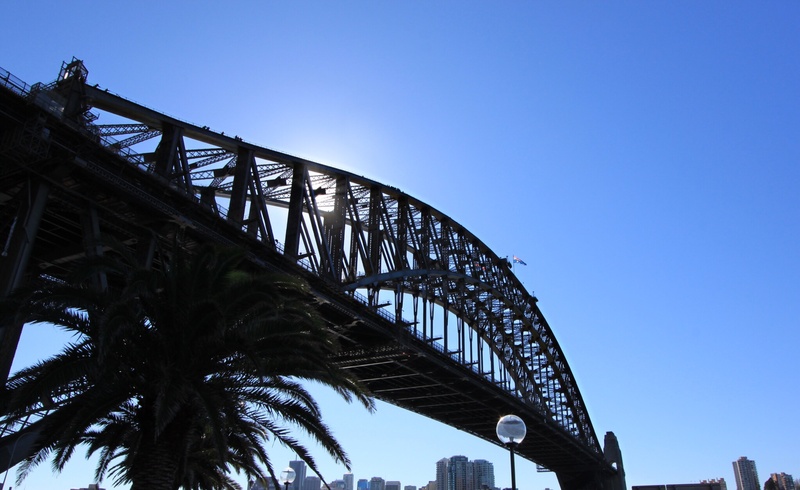 I stopped to ask for directions, and suddenly could see the Harbour Bridge peeking between buildings. I headed towards it and found myself facing the harbour, with the bridge on one side and the infamous opera house on the other. In glorious midwinter sunshine I gazed at these sights. Being here is a bit like being in New York for the first time, oddly familiar as one has seen it so often before on TV. 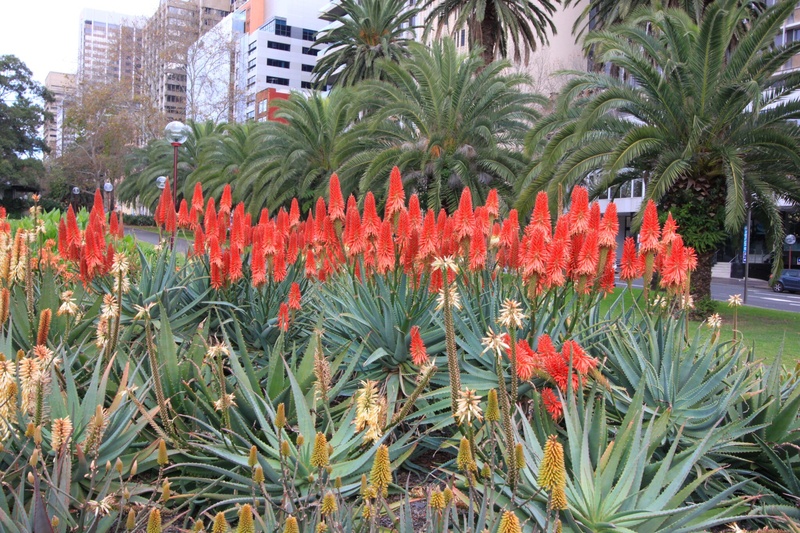 I wandered around just soaking it up, scarcely able to believe that it was 22 degrees in the middle of winter! I was amused by the antics of two gulls, who stood in front of me squawking in turn, and tried to tune out the dance didgeridoo going on in the background (I took this to be a form of Aborigine revenge on the tourists). I could see people walking over the top of the bridge (you can just about make them out if you click on the picture to enlarge it). If I had realised quite how lovely the weather would be I would have signed up for it. After grabbing a quick lunch I decided to try the open topped bus tour of Sydney. This was long and rather boring, although it did give me the chance to orientate myself well. Amazingly I did not get lost again! The city is a mix of rather neglected Victorian homes, stylish modern skyscrapers and handsome 19th century buildings all centred round that stunning harbour. By the time the tour was over it was nearly dark and in hindsight I do wish I had taken a trip out on the water instead. The only sign of winter was the early evening on what was the shortest day of the year. Otherwise it was a day which would have been considered delightful in London in August! 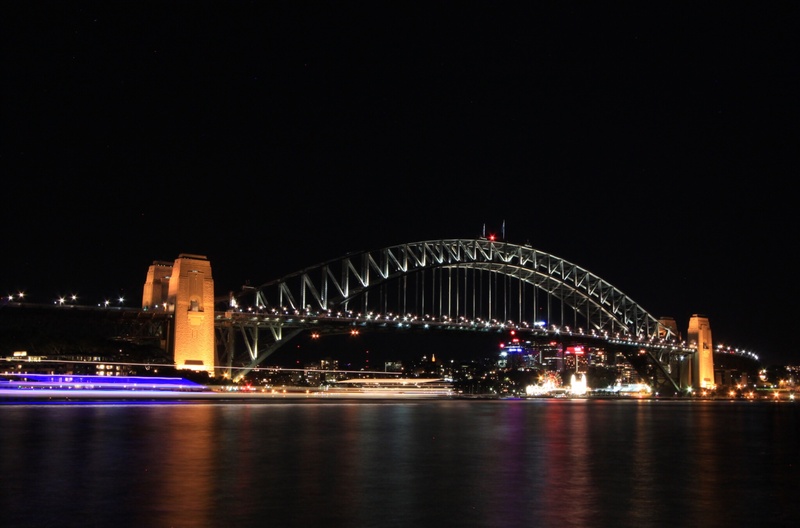 I grabbed my tripod and headed back to Circular Quay to take some pictures of the Opera House and Harbour Bridge at night. They are even more beautiful at night, all lit up. I had a nice meal overlooking the bridge sitting outside, in winter! 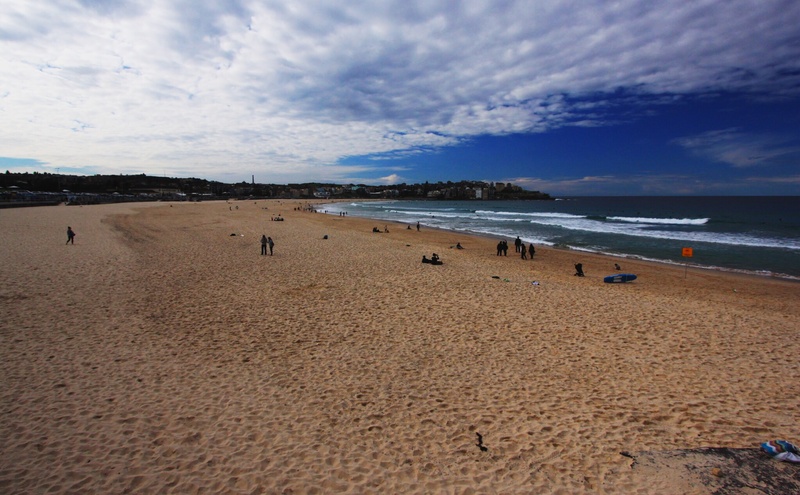 While eating I decided I would head to Bondi the next day. After again waking terribly early, I was feeling rather dazed as I set off the next morning. 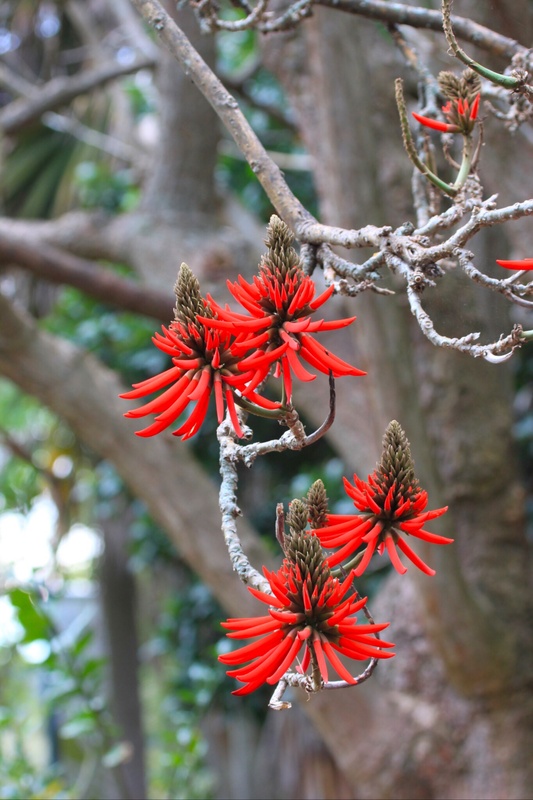 It was overcast and quite chilly, so I decided to wander around the Botanical Gardens before heading to Bondi, to see if the clouds would burn off. The Botanical Gardens are stunning, with lots of weird and wonderful plants and birds, and amazing views of the harbour. Sydney does not seem to have many pigeons. 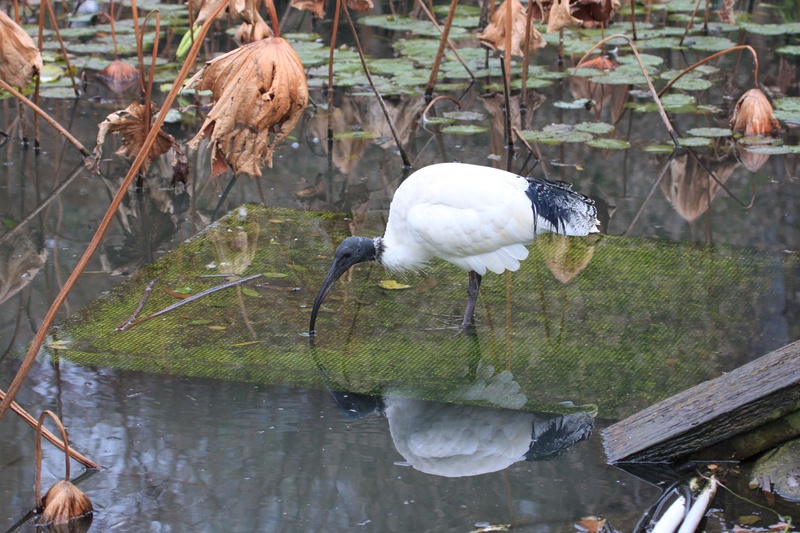 Instead of these rats of the sky, Sydney has sacred ibises, which skulk around in the bushes and hang around rubbish bins foraging for scraps. They are filthy and often mangy looking with missing toes, but I manage to find some more salubrious specimens to photograph. 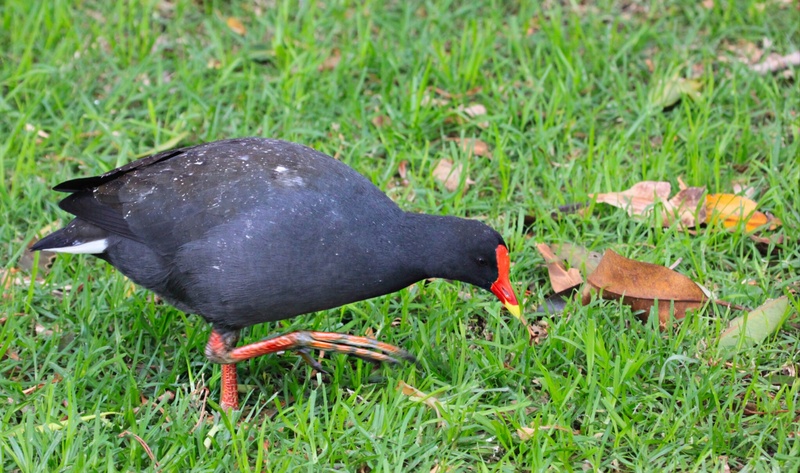 The gardens are also full of dusky moorhens, which scrap vociferously like drunks at closing time. 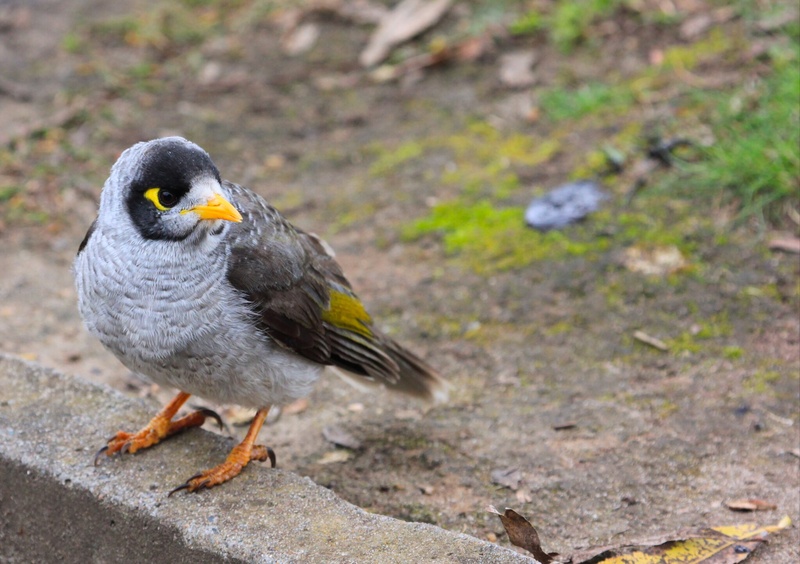 There are also bold noisy miners everywhere, chunky and comical, gazing at me with beady eyes. 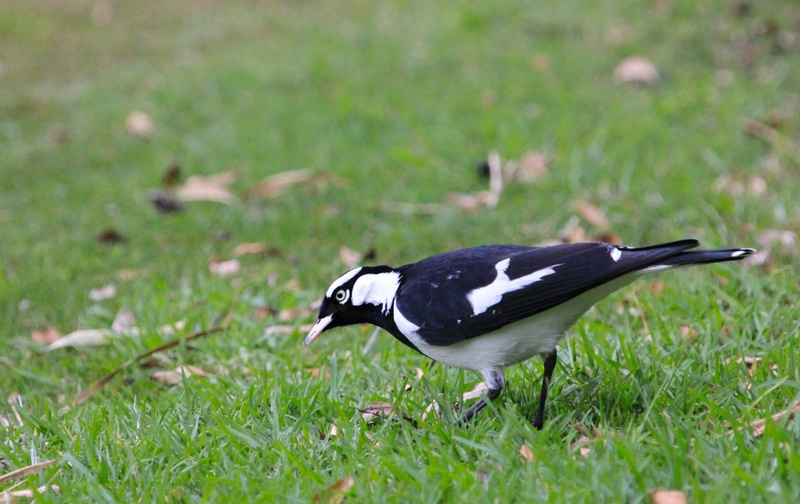 Even the magpies are different here, looking like pied crows. There was, amongst many fascinating plants, a tree which has many trunks. 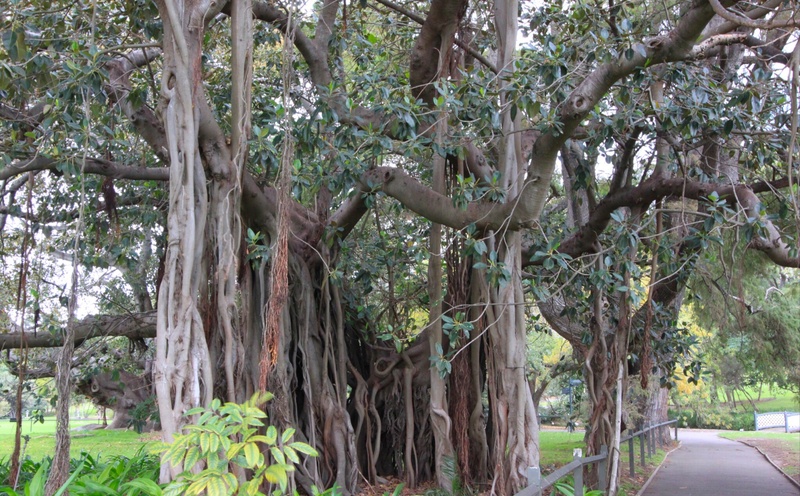 It is called a ficus macrophylla columnaris. Apparently the largest one found occupies more than a hectare. That is a big tree! I was really tempted to join the tour of the gardens, especially as I was sure there were loads more birds to see, particularly cockatoos, but with so little time to explore Sydney and winter daylight in short supply, I decided to press on to Bondi. To get there I joined another open topped bus. 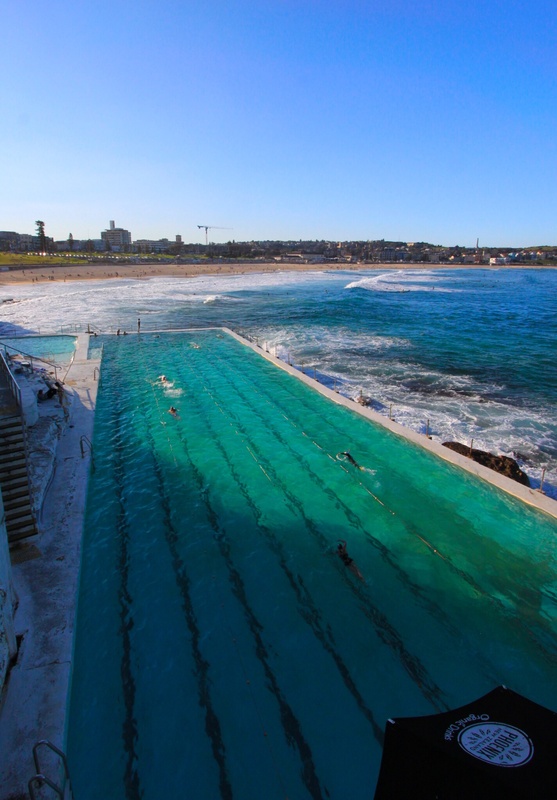 Upon arrival I had that odd sensation of it not being quite real, being so familiar to me from my favourite guilty pleasure, Bondi Rescue. If you have never watched the show, do catch up with the antics of Bondi’s loveable lifeguards. To ensure it was indeed real, I walked the length of the beach and back again to the south end where the bigger waves and more able surfers were located to take a few action surfing shots. While I was walking, the sun burnt through the remaining clouds and it was another gorgeous winter’s day that could pass for the height of the English summer. The beach itself is truly gorgeous, a curve of golden sand licked by bright blue seas and flanked by cliffs, all overlooked by expensive real estate. 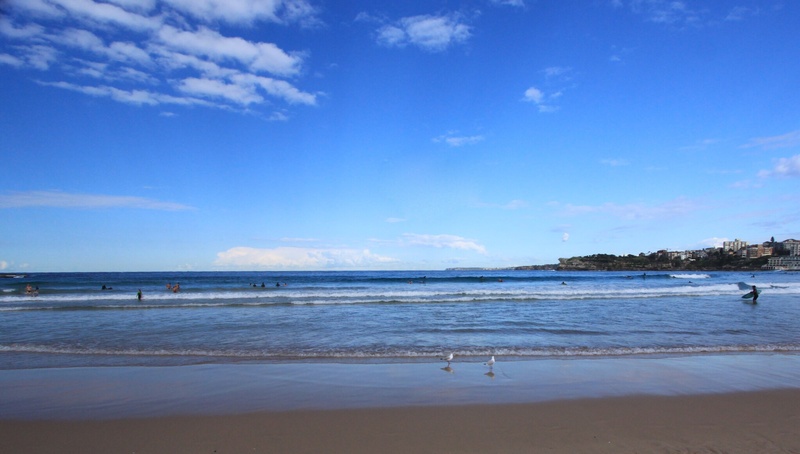 There were a few die hard swimmers and many surfers, with the skilled riders at the south end and those developing their skills towards the middle of the beach where the waves were more benign. People jogged up and down, did yoga on the sand or posed for photos in front of the famous waves. As I was snapping the surfers, I saw the Rhino used by the lifeguards approach. 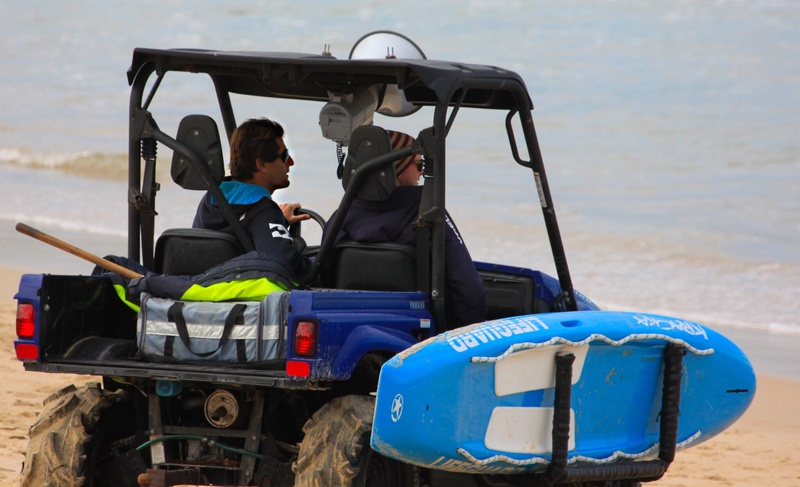 I was delighted to recognise Harries, the most outgoing of the lifeguards from the show, and snapped a paparazzi-style shot of him. It’s Harries off the telly! I ate a delicious and disgustingly healthy salad sitting on the grass overlooking the beach, still amazed to actually be there, before setting off on the cliff top walk to Coogee. This is a five kilometre walk, so I though I could do it easily. Alas, it was not to be. A blister on the side of my heel, which was a mild annoyance I had been ignoring for a couple of days, suddenly became a throbbing pit of pain, causing me to limp along the path like an arthritic 90 year old. 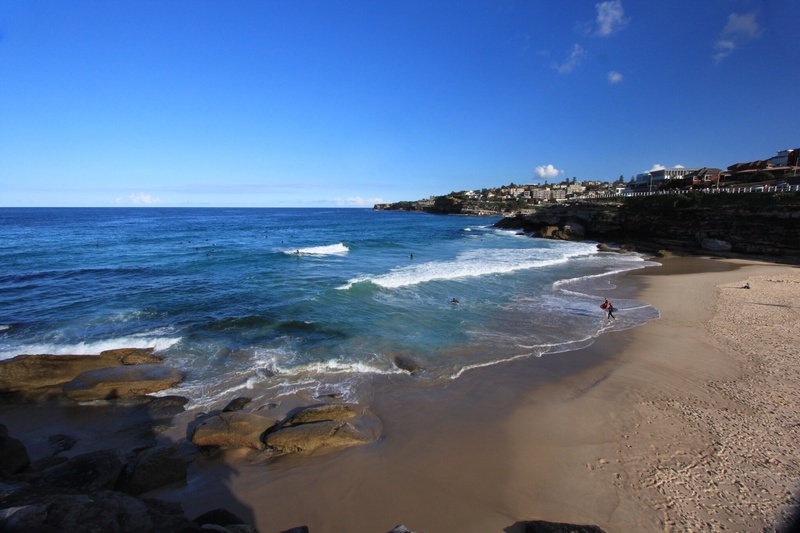 I made it to Tamarama, about one kilometre away, before conceding defeat and returning. Despite this, it was a hugely enjoyable walk, with gorgeous views. It is immensely popular, crowded with tourists, dog walkers and joggers. It must be a frustrating run, despite the lovely views, with all the meandering tourists in the way, but it is a delightful place for a sunny Sunday stroll. As I sat and waited for the bus back to central Sydney, resting my poor foot, I narrowly avoided being defecated on by a myna. A young lady sitting next to me was not so fortunate, and had to wipe bird droppings from her hair, which might have slightly soured her Bondi experience! I assured her it was good luck (whilst being glad I had not been the one to be so blessed), but she moved away, muttering about not being in need of further good fortune. From the bus I saw parrots flying overhead; sudden flashes of jewel colours against the darkening evening sky. I hope I will get a chance to see some closer up. 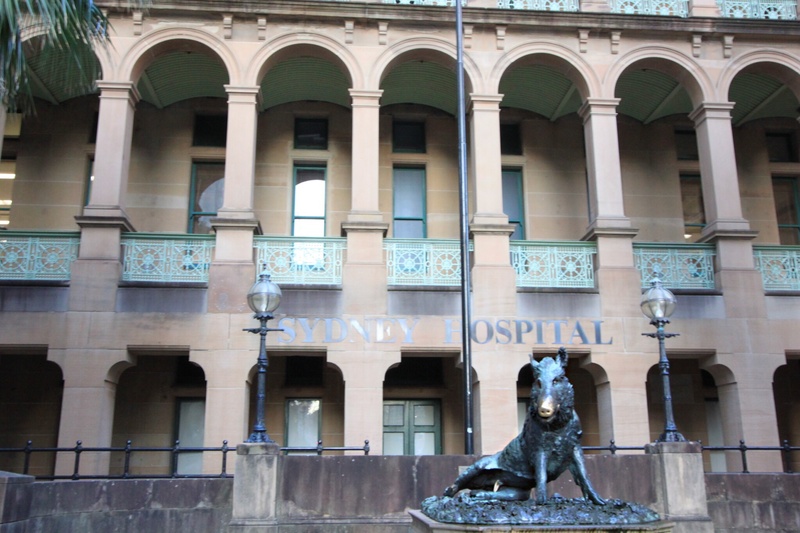 Hobbling back to the hotel, I just had time to admire the boar outside Sydney’s hospital. You can donate a coin and then rub his nose for good luck. It is worth a go, as the money donated goes to the hospital. Judging by the shine, his nose is not the only thing people have been rubbing for luck! I just hope his snout works on blisters! That evening I went to Longrain, a Thai restaurant, to catch up with Josie, the first of my Aussie mates that I will see on this trip. The portions there are huge, and we managed less than half of our food before conceding defeat. It was delicious though. We were joined by a friend of hers but unfortunately he had already eaten and was unable to help us with our food mountain, although he did give some of it away to the young couple sitting next to us! So far I am loving Australia as I head towards my second stop, Adelaide. 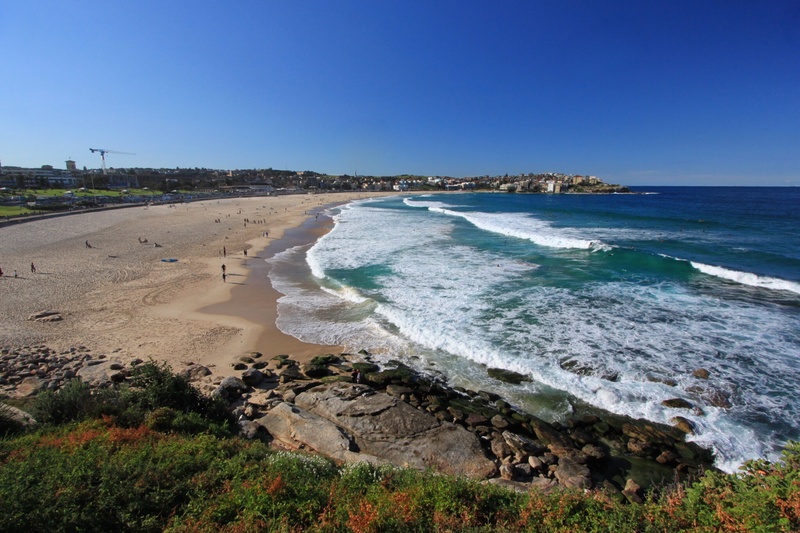 If it is half as nice as Sydney, it is going to be great! This entry was posted in Australia on 23/06/2014 by paulaclarke.